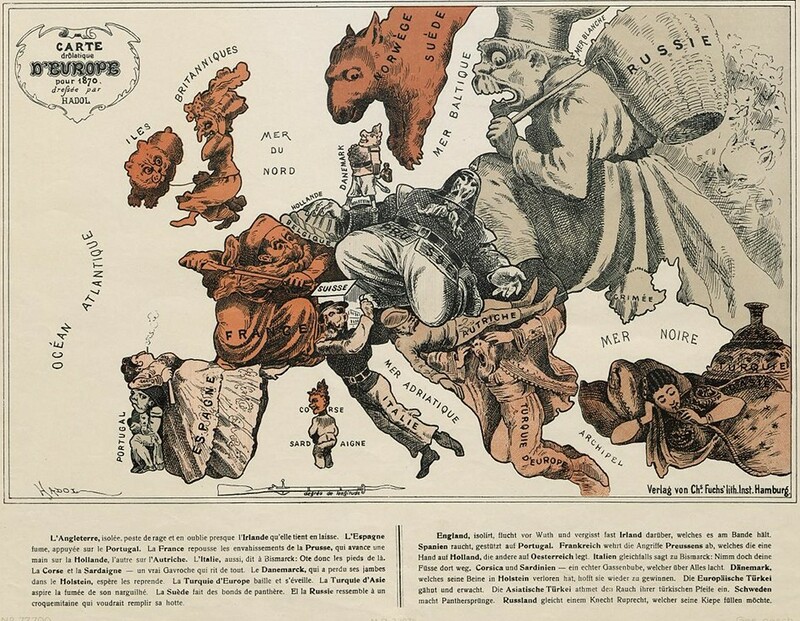 A German cartoon from 1914 showing the lay of the political land as seen from the German perspective at the outbreak of World War One. 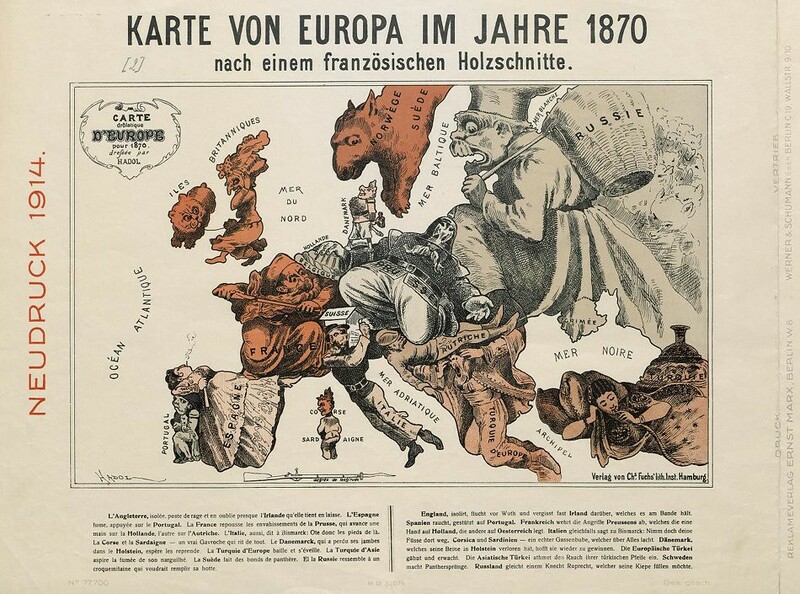 As the text below the picture states, Germany and the Austro-Hungary Empire defend “blows from all sides”, particularly from the east in the form of a huge snarling Russian face. To the right of the image a banner declares that 10% of the proceeds of the map’s sale will go toward the Red Cross. 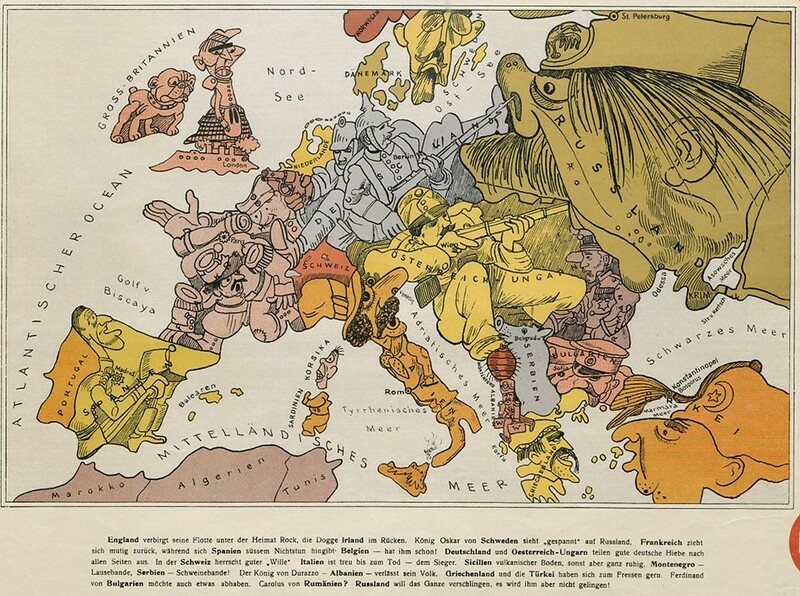 The map is accompanied by a contemporary version of a French woodcut depicting a very different looking Europe of 1870. 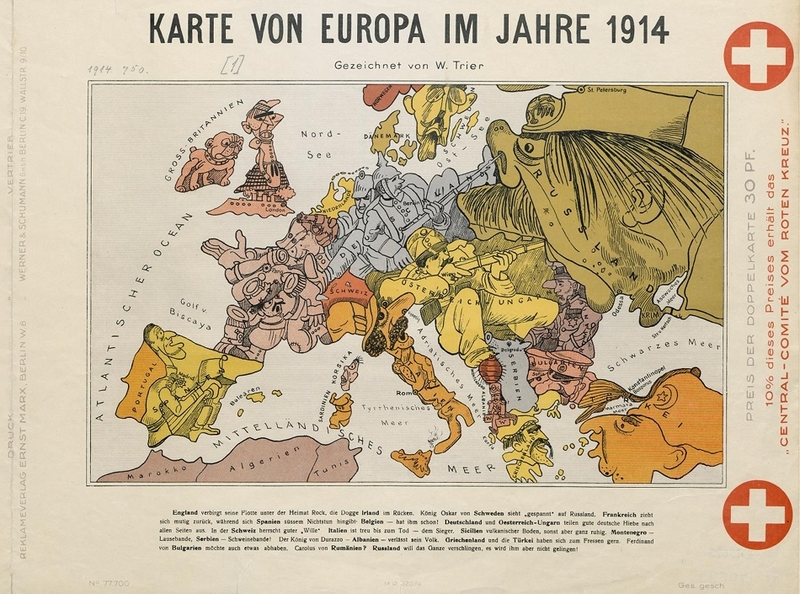 The images are from the Berlin State Library and are featured as part of the wonderful new project from Europeana, “Europeana, 1914-18 ” which is marking 100 years since the outbreak of WW1 with a remarkable pan-European pooling of material, from both individuals and institutions, relating to the “Great War”.